I know its bordering on passé to write blog posts criticizing people and businesses for their shortcomings, but I feel it necessary to present another example of what I discussed over a week ago. In that post I discussed how brand confusion can be created by a company that’s sloppy with its online content. I stated that web designs and written web content that are clearly and consistently created could potentially translate into increased sales. I also posted a few examples of sites that lacked consistency and clarity. Yesterday I found another example of inconsistency in branding, which reminded me to talk about an underutilized editing tip. This is the name of a company, something that you would imagine would be treated consistently well in the public eye. Instead the company has three variations of its name on one page. I have no idea how to formally document the name of this company for my current project without communicating with someone at the company. I shouldn’t have to do that. And now on to that editing tip I mentioned. If I were in this company and were calling the shots, I’d have had the material edited pre-live, in a web-ready format. This editing step gets overlooked frequently. Typically a body of text (if edited at all) will be sent for editing as a text document. Revisions to that document then will be pasted into a web page and called done. But one of my golden editing tips for web content is (if possible) to perform a final edit in the environment it will finally be posted to. The easiest example of this is a blog post or article being posted through a content management system (CMS). There’s frequently a preview opportunity in a CMS, allowing the writer to see what the content will look like in its intended environment. 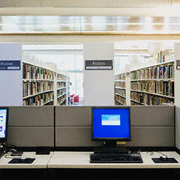 Editing in this intended environment provides a fresh perspective on the text, often resulting in the observation of errors or inconsistencies that were missed while editing the original text document. In the particular case of eurosoft/Eurosoft/EuroSoft, I imagine that someone may have edited the web copy in a text document format and then passed it off to the web developer. Sure, the text consistently uses “Eurosoft,” but once placed in its intended environment, things go awry quickly. Had a final edit been performed within the intended environment, I would like to believe someone would have pointed out the inconsistencies in the name throughout the entire page. As I said at the beginning, I don’t necessarily relish in picking apart a person or business, but this seems like a strong example of brand confusion that could have been avoided by an on-page, “intended environment” edit. Of course there are other things that could have been done to prevent this. Perhaps a simple policy update by upper management regarding how the company name should be used in all correspondence would have also prevented this inconsistency. But then again, I’ve never been that qualified to talk corporate policy. Update: It’s October 6, 2011, and I updated the link to eurosoft/Eurosoft/EuroSoft. It originally pointed to http://www.eusoft.it/company, but it has since been changed by the company. Note, however, that despite this opportunity to correct their branding with the updated page, the new page is just as bad. Again, I see all three variations of the company name on one page. 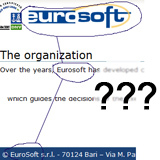 Additionally, the old page had the company name at the bottom as “EuroSoft,” but the new page now has it as “Eurosoft.” This is simply inexcusable. To anyone who reads this, I’m still alive. You probably know through either my main Web site or my Twitter account that I spent a third summer teaching English at a Spanish summer camp. But you may be asking why that kept me from posting blog posts here. While Spain is a country that is modern in many ways, it’s still a little behind in the overall race. Recent issues with debt management and unemployment haven’t helped either. As this is the case, sometimes “luxeries” like regular Internet access aren’t afforded at a Spanish summer camp. Previous experiences at camp only lasted six weeks, so my Internet blackout period wasn’t too lengthy. But the ten weeks served at camp this year were a bit too much. In the end, I found that I had been disconnected from the goings on in the world governments, let alone in the writing, editing, and teaching communities. It’s sad, but even short information outages can often put any Internet freelancer and tech junkie at a serious disadvantage over the competition. Ten weeks made me feel like I lost touch with everything that’s going on. That said, I still have a bit of vacation time this September, and I plan to use it. But in between the cracks, I’m going to attempt to find my stride again, especially in the freelance writing and editing market. This includes trying to catch up on all the changes in those fields as well as the teaching field. Stay tuned for a blog post this month! 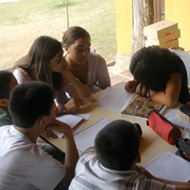 I’m not sure if I’ll write about my experiences teaching at the camp or something else. However, inspiration rarely eludes me these days. Cheers! Overcoming complexity requires critical thinking and reasoning skills, which are essential for most people who write, edit, and teach. 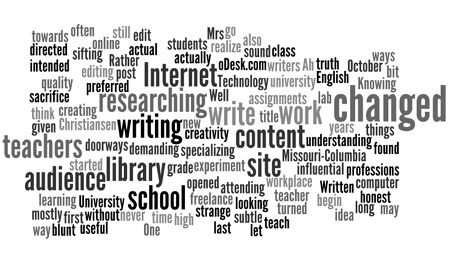 The above text comes from inputting my blog address into the site Wordle.net, which is dedicated to making “word clouds” from a variety of sources. I actually stumbled upon Wordle while browsing through The Complexity Blog, hosted by The Innaxis Foundation. Yes, there is a field of research dedicated to the study of complexity, and I agree that complexity science is difficult to describe. 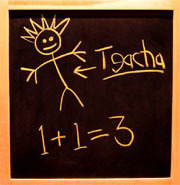 The above image is one possible representation of a perceived complexity that exists within this blog’s posts. 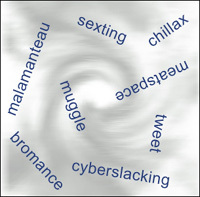 In fact, many blogs now allow for the use of word clouds to help the blogger visualize what’s most talked about. It’s only one tool in a growing arsenal of ways that human beings try to better understand the complexity that surrounds them. Yet despite this need to better understand the world, why do so many people continue to take a one-sided, black-and-white approach to issues that affect them? Every week I find new examples of folks stating “X is causing Y to happen, and we need to stop X.” Admittedly, there are times that overwhelming evidence indeed proves that X caused Y. But more often than not, speculation, hearsay, and unsupported opinion seem to be behind the statement, not research and critical thought. Take for example the controversial issue of global warming. A friend of mine mentioned today that she hasn’t seen Al Gore’s “Inconvenient Truth” and doesn’t plan on doing so because Gore failed to reference the U.N.-reported issues with livestock and greenhouse gas emissions. She later apologized and said that she had gotten a bit worked up about the issue (we all have issues that we get worked up about), but it still didn’t address the slight lack of reasoning that went into the opinion. While she rightfully brought up the issue of livestock, wouldn’t it have been at least appropriate to view the movie before coming to some conclusion about its lack of substance? But it goes deeper than that. Try browsing through some of the most vocal animal activist Web sites. You’ll find a cacophony of voices chastising Gore’s lack of commentary on livestock and greenhouse gasses. But how many of those animal-biased (and often vegetarian/vegan) folks are calling on Mr. Gore to address the almost equally dangerous flow of excess nitrogen from fertilizers (PDF file) used to grow plants? Such single-minded, biased approaches to matters do nothing to help people grasp the idea that there is complexity inherent in most things. An unreasoned or blind “X is causing Y” approach to a situation frequently fails and only causes more confusion and work for others who are trying to make sense of it. This is why I believe that it’s increasingly important for any teacher to impart the principles of critical thinking and encourage its use in the classroom. Lively, well-researched debates are excellent for expanding the critical thinking skills (PDF file) of the youth in our schools and has been used thousands of years. Writers and editors also can fall back on critical thinking skills with their work. Editors who are fact checking, for example, are using critical analysis to ensure that what was written is factual. Writers employ the same type of skills, especially those who are presenting material to others who may assume the writers are experts in the material. But by my own argument, I’d be foolish to believe that encouraging critical thinking in the classroom would solve all of our issues. There’s much more that I don’t currently understand about complexity science. It’s possible that we’ve evolved simple black-and-white arguments as a mechanism to combat complexity itself. But I speculate that it’s more out of habit or laziness that we simplify situations. After all, the human race has survived because of, not despite the act of reasoning. I definitely want to learn more about complexity science and apply it to sociology. I believe that there are significant discoveries to be made about how we deal with complexity as humans. Have we become lazy with our critical thinking and reasoning skills? Or are our simplifications an evolved result of dealing with complexity? How can we — as writers, editors, and teachers — utilize critical thinking to make us (and others) better humans? Written Internet content has changed over the years, often at the sacrifice of quality and truth. When I first started looking for freelance writing and editing work last October, I turned to oDesk.com, a site specializing in the online workplace. I still do most of my work through the site, but not without sifting through a depressing sea of online article writing jobs. In what may come as a surprise to many people, there is a burgeoning market for cheaply written content for Web sites. One need only to look through the job listings in the “Writing & Translation” section of oDesk to discover this market’s pulse. “I am looking for someone to write, spin, and submit 30 keyword loaded articles ranging 500 – 1000 words,” says the author of a job posting, who listed a budget of $5.00 U.S.
“I need 10 completely unique articles of 400 words each on the topic of allergy remedies,” another job poster states. The budget on that job is only marginally better at $20.00. But fresh blog articles are not the only written Web content in demand. Many site owners look to reuse existing content in a practice called rewriting or “spinning.” Article spinning essentially involves taking previously written content (often copyrighted) and rewriting it so that it is optimized for search engines without being flagged as duplicate content. “We will provide you with articles which need to be rewritten, so you will not be required to do any kind of research, just to rewrite the article,” states another job advertisement on oDesk. “You will be given a batch of 5 articles to rewrite so please quote for 5 articles not one. The rewritten articles must be 100% unique and must pass the Copyscape test.” By using Copyscape, Web publishers can help ensure that articles aren’t plagiarised, which would lead to red flags at search engines like Google. But why is this sort of cheap, underwhelming content being created, often at Third World prices? What other changes are occurring with online written content? What does the changing media model mean for online news? All of these questions are tied to a rapid shift in how the Internet is being used to transmit information and increase revenues. The shift is complex and difficult to define, but its indicators are everywhere in online written media. One only has to wade through the scores of blogs, journals, and news aggregators to see them. 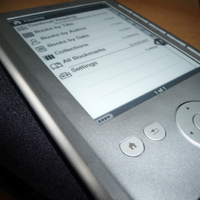 The roots of the changes affecting online written content exist in the increasingly ubiquitous Internet and computer technology in use. It’s difficult to deny that as the number of Internet users worldwide continues to increase, access to online writing tools such as blogs and social networking sites also increases. However, while more people are suddenly able to share their thoughts and idea using the written word, it also means there’s an increased demand for online content. That’s where content providers, replete with visions of profit, come into the picture. Enterprising Web gurus eventually figured out in the early twenty-first century that the combination of optimizing Web content to appear at the top of search results (called “search engine optimization” or SEO) and well-placed advertisements could yield significant revenue. Programs such as Google AdWords and Microsoft adCenter helped bolster the popularity of the scheme. By throwing in cheaply-written material, targeted based on changing user trends, Web content providers could potentially make significant money. Our news and how we receive it has also changed. It’s no secret that journalism and the newspaper industry have seen a wide variety of problems. As more people seeking media content have moved to the digital realm, so have advertisers. Many newspapers have had to make massive cuts to stay afloat, including the consolidation or reduction of editing and fact checking. Sadly, such measures carry over to the digital realm. “The tough economic times have resulted in the reduction of staff checkers, and those that are left are looking for new ways to justify their existence,” said Craig Silverman, who attended a major fact checking conference in Germany this past March. Reductions to journalism budgets? Rewritten and plagiarised Web content? Stale news and commentary that is poorly written? Is this what the Internet has to offer us today? Are fact checking, solid editing, and well-written, informative content disappearing? Or are these aspects being drowned out by a sea of mediocrity? When writers, teachers, and students experiment with writing, new doorways to creativity and learning are opened. One of the most influential teachers I had in grade school was also the most subtle. My high school English teacher, Mrs. Christiansen, was never blunt or demanding. Rather, she preferred to let the class assignments do most of the captaining while she gently steered the course along during the year. One of her methods was to give assignments that tapped into little-used aspects of the English language. There was the five-word poem that forced the student to think about how words work together. And there was also adjective story time, an exercise that sought to teach adjective order and use. And then there were assignments that encouraged absurdity. I loved (and still love) absurdity in writing. But the art of absurdity needs to be as subtle as Mrs. Christiansen’s teaching methods. Sure, you can write a story about purple rabbits that fall up every time they sit, belch toads, and eat computer mice with salsa. That story would be blatantly absurd and be much like using a tanker truck as a hammer for your home improvement project. But combining serious elements with subtle absurdity can often be very powerful. My senior high-school English teacher (her name eludes me at the moment) also had a knack for subtle absurdity in writing. Through the combination of absurdity and special writing assignments, the class turned into a fun learning center rather than a drab repetition room. I used this technique at times with my Spanish-speaking students in Spain. Some people frowned when told about their class assignment, but most grudgingly took to it and eventually laughed, all while learning. Realizing that I haven’t done something like this in a while, I posted a request on Facebook yesterday, asking my friends to post a verb that begins with the letter “k” and add a definition if necessary. I explained that I would write a short story the next day using all of the verbs. What I didn’t tell them is that I’d also use all submitters as characters in the story. What follows is the story I wrote today. I’ve changed the names of all the characters to respect the privacy of my Facebook friends, but the verbs remain intact. I encourage all teachers and writers to perform such exercises to not only expand vocabulary, but also flex creativity. It’s perfect for writers and teachers as well as students. Poems that focus on the letter “l”, monologues with verbs that contain the prefix “over” or “out”, or songs with the “sh” sound… these all bring about creativity and learning.